Can Protein Shakes Make You Sick And If So, Why Does It Happen? Inside: If protein or meal replacement shakes have ever made you sick, nauseated, etc., here are some possible reasons and solutions to help you enjoy shakes again. 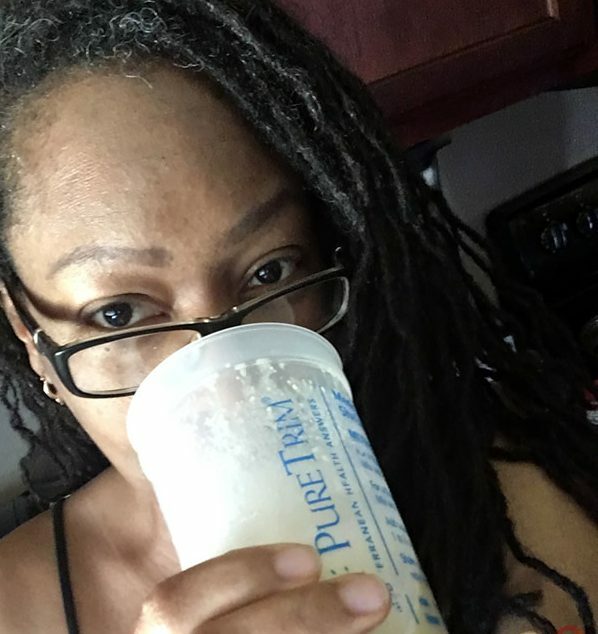 I’d NEVER heard of anyone getting sick from a protein/meal replacement shake, until I received a very unnerving phone call from a friend about her favorite shake. Before that phone call, she would constantly bug me to switch from the shakes I drank for YEARS, over to hers. I’m glad I didn’t take her advice. It was early Sunday morning that she called me and, with panic in her voice, began grilling me about the very shakes she tried convincing me to give up! Huh?? I was SO confused. Why was she suddenly inquiring about my shakes? Turns out, she and her daughter were having some “mysterious” stomach aches that, at times, bowled them over in pain. The culprit? Those ‘uber-delicious‘ shakes of hers. A LOT of folks get sick drinking protein shakes. While you may not have symptoms or issues as severe as those my friend told me about – vomiting, or even feeling as though you have to, is no fun either. Take a look at the ingredients in your protein shake. Recognize anything that you have allergies/sensitivities to such as gluten or certain sweeteners? A lot of shakes have a crap-ton of “stuff” in them that isn’t necessarily good for you. So, look for a shake where you can pronounce at least most of the ingredients. Anytime I’ve EVER drank a protein or meal replacement powder with whey in it, it made me feel weird. I can’t really explain the sensation, but whatever it was, I could never drink more than a sip or two. Others experience gas pains, uncomfortable bloating, and nostril-singeing farts! So, if you’re lactose intolerant and your shake contains whey, you’ll definitely want to ditch it for something that’s dairy/whey-free. Another recommendation is to consider trying a shake with whey isolate, as opposed to whey concentrate, because it has little-to-no lactose; so that could be another option. Related: Dairy Free Meal Replacement Shakes: Do They Exist? Remember the friend I told you about? She and many of those she mentioned felt very strongly that soy was the main culprit in their sickness – especially the thyroid and gallbladder issues. I know, I know… soy has been touted as the “Holy Grail” for health enthusiasts and those who want to lessen or eliminate their meat consumption, right? And to be clear, the more dangerous forms of soy are the ones that are NON-FERMENTED – things such as soy milk, fake meat products, soy-based baby formulas, soy nuts, (non-fermented) tofu, etc. Fermented soy, however, is actually beneficial to the body and these include things such as miso, soy sauce, tamari (gluten-free soy sauce), tempeh, and fermented soy milks and tofu. You must, must, MUST drink plenty of water when you’re using meal replacement & protein shakes! Typically, meal replacement shakes have either fiber or bulking agents and if you aren’t drinking enough water throughout the day, that can cause a lot of excess bloating & discomfort. So, drink a glass of water immediately after your shake (and throughout the day) and see if that helps. The best way to REALLY know for sure whether or not your shakes are the culprit, is to perform a process of elimination. Stop drinking your shakes for 7-30 days and see how your body reacts to NOT having them. Then, gradually reintroduce them and take note if the same symptoms arise once again. If they DO… then you’ll know, without a doubt, that your protein (or meal replacement) shake IS making you sick. But don’t give up on shakes altogether as there ARE some that WILL NOT make you sick, not one iota! One such shake (the one my friend grilled me about) actually helps your tummy with probiotics, prebiotics & fiber, energizes you, tastes great, and helps keep your skin nice & tight. If you’d like to learn more about it, click here! Meal Replacement Shakes: Think You Know All The Benefits? Think Again! Should Children Drink Meal Replacement Shakes?